Home >> Around The World >> Seaweed Insulation. Anyone? Posted by Sonia Knight in Around The World, Green Living Tips, Guest Blogs | Comments Off on Seaweed Insulation. Anyone? Climate change, rising gas and energy prices, and expensive commodities are just some of the things we have to battle on a day to day basis and at one point, it all means one thing – the need for change. Now more than ever, we have to control how we use and manage energy in order to reduce its negative effects. 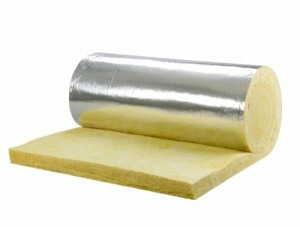 And one way of doing so is by insulating our homes correctly. At the moment, there are many available home improvement measures that concentrate on improving our home’s energy efficiency such as double glazed windows, uPVC doors, wall insulation, and more. Insulating our home is the first step to achieving a warmer temperature sans the expensive fuel and energy bills during cold seasons. Meet Posidonia Oceanica, or most commonly known as Neptune Grass. This seaweed specie is endemic in the Mediterranean Sea and usually ends up on the shores as a brown fibrous ball. For years, many people in the Mediterranean through that these Neptune balls were merely a nuisance to the environment until recently. Scientists from Germany have discovered that Neptune balls can be used for insulating buildings. It is virtually non-flammable and is resistant against moulds. Thanks to its salt content of just one half to two percent, Neptune balls as an insulating material will not rot away. Some of these characteristics make it interesting to the building trade as an insulating material. Transforming these balls into a building material as insulation is a rather difficult task. First of all, the sand from the balls must be removed. According to Gudrun Gräbe of Fraunhofer Institute for Chemical Technology (ICT), an organization that has already developed a way to manufacture Neptune balls as an insulating material, the best way to remove the sand is by shaking them. Once the sand has been removed, it would be easier to remove the clumps of seaweed without breaking them. The balls are then transported via a conveyor belt to the cutting mills, where they emerge out as one and a half to two centimetre fibers and packed into plastic bags. Despite that lengthy process, its production does not entail the use of a lot of energy which makes it even friendlier for the environment. More research has been conducted by the Fraunhofer Institute and they discovered that this loose insulating material can hold an impressive 2.502 joules per kilogram Kelvin. This means that it is 20% higher than wood or wooden materials. The fibers were also tested to be environmentally friendly and safe. The eco-INSTITUTE in Cologne released figures stating that the Neptune Grass was free of extraneous or toxic matter. This is a great option for people prone to allergies. So instead of being collected and sent to a landfill, Neptune balls are now being transported to Germany through sea from Tunisia and land from Albania for the production of insulating materials. Thanks to companies like NeptuTherm, seaweed insulation might just be the next big thing to achieving energy efficiency and insulation.